Last updated: March 24, 2018. This video shows exactly how to make bulletproof coffee. I’ve been making this stuff for years, and there are definitely some cons to using a traditional blender, so I found an easier way! My method is quicker, less cleanup, and frankly – without this little shortcut – I don’t think I would bother going through the effort in the morning to make this stuff. At least not as often. 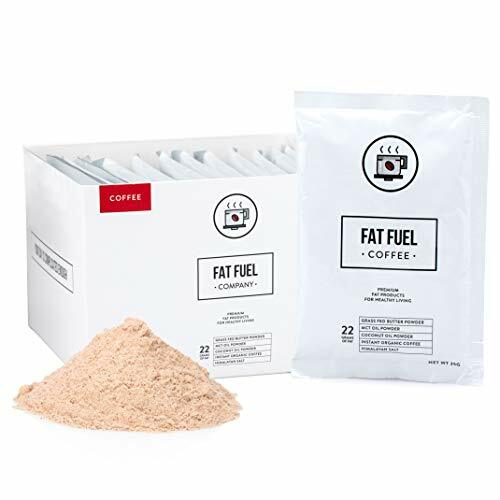 I heard about this stuff called Fat Fuel Coffee recently and knew I had to come back and update this page. It’s a little more expensive than the method I showed in the video above, so I treat it as more of a treat, or when I just really can’t be bothered to go through the usual process. Check it out, I bet you’ll love it! I also want to talk a bit about what “bulletproof” actually means, and provide some information on the de-bunkings of the bulletproof marketing hype, along with some more affordable alternatives to Bulletproof coffee, which is essentially the same ingredients, just made by different brands. A tablespoon to measure your ingredients. 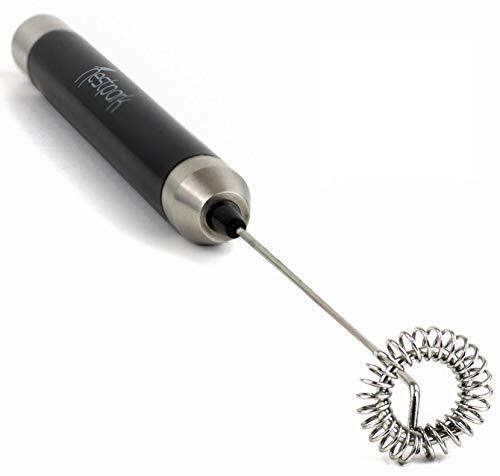 A milk frother (Or a submersion blender… you don’t need a table-top blender. 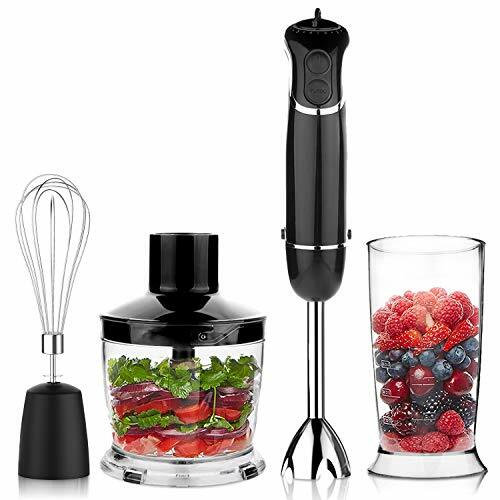 Keep reading to hear about my blender horror story…) Although Ikea makes a decent one for around $6, it’s worth it to go a slightly better version, considering it’ll last much longer and do a much better job in the meantime. Check out this one right here, for instance, or an even better one below. 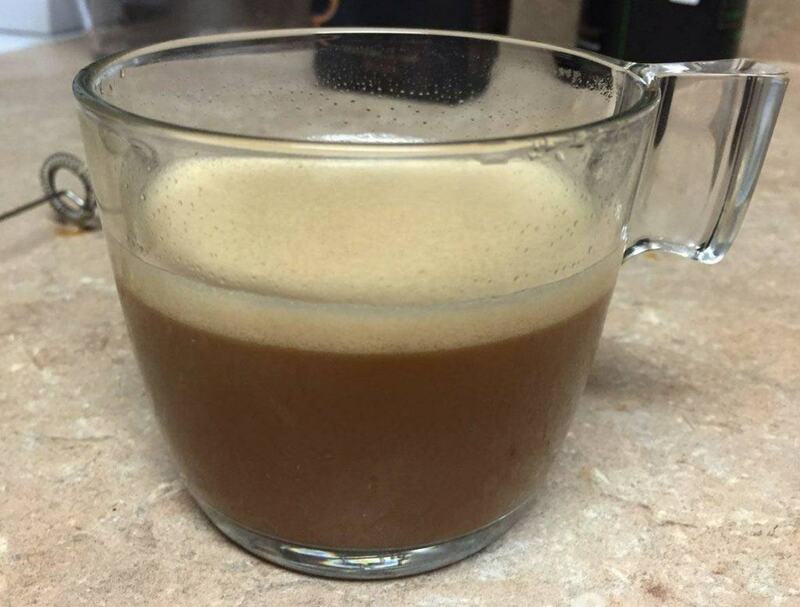 Here’s the finished cup of bulletproof coffee, easy as a breeze! Spreadable at room temperature, no refrigeration required. Brew your coffee, measure out a tablespoon of grass-fed butter, a tablespoon of coconut oil, and mix them together with your coffee. It’s really that easy. If you haven’t heard of Bulletproof Coffee, basically the concept is to add ‘healthy fats’ into your morning coffee. They say that the fats bind to the caffeine in a special way that sort of acts as a time release, so that the effects of the caffeine are come on more slowly and this stops you from getting those coffee jitters and then crashing. 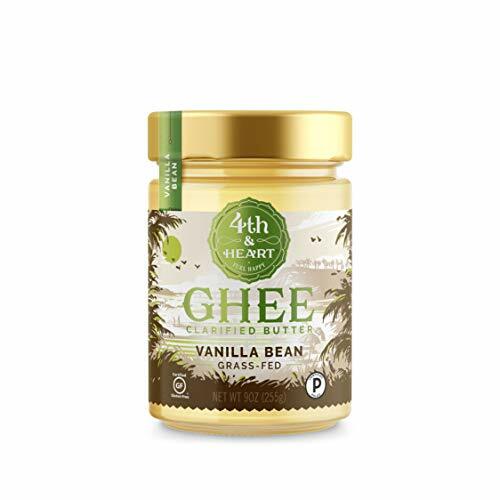 People have reported that this extends the effectiveness of the caffeine, helps a great deal with intermittent fasting and a keto diet, helps with focus and productivity, and a myriad of other benefits. If you’re curious, the best thing to do is to try it for yourself and see how you feel. The “bulletproof” name is actually a brand name, owned by Dave Asprey, a controversial health-guru sort of marketer guy. He’s not the first guy to add butter into coffee, it’s been around forever, but he has done the best job of marketing it and getting attention. Some of the claims are a bit over the top unfortunatly, and Gizmodo actually released an article debunking a lot of the health claims. Dave Asprey has claimed that he has been offered large sums of money by huge coffee companies to teach them how to remove mycotoxins and mold from their coffees, and that if you want coffee that’s free from these mycotoxins you’ll need to hand over $19 a bag for “BULLETPROOF COFFEE”. So if you believe the narrative, this guy was able to develop a way to remove mold and toxins from coffee beans that none of the world’s hugest coffee companies have been able to figure out. In all honestly, it sounds shady as hell. I’ve read that an adult who drinks 4 cups of regular coffee a day will only have about 2% of the safe level of mycotoxins… In other words, the coffee companies have been aware of this for decades, and you don’t need to spend a fortune on Asprey’s “special” coffee. He’s creating fear out of something that’s a complete non-issue. Gizmodo tears into Bulletproof Coffee. None the less, it’s a really tasty drink and I have definitely felt some benefits to drinking it. It took a lot of trial and error and I’ve finally figured out how to make bulletproof coffee the easiest way, so I wanted to make a quick video showing you how. Just keep in mind that you don’t need to spend money on any special kinds of coffee or anything else that somebody is trying to sell you. No, it doesn’t magically melt away fat or turn your body into some incredible fat-burning machine. It doesn’t instantly turn you into Bradley Cooper from Limitless with the mental stamina and focus of a super-human. It is, however, a creamy, rich and tasty way to enjoy a cup of coffee without any added sugar, and even thought there’s two tablespoons of grease in it, it’s still got a lot less calories, and is better for you, than most drinks you’d get from Starbucks.